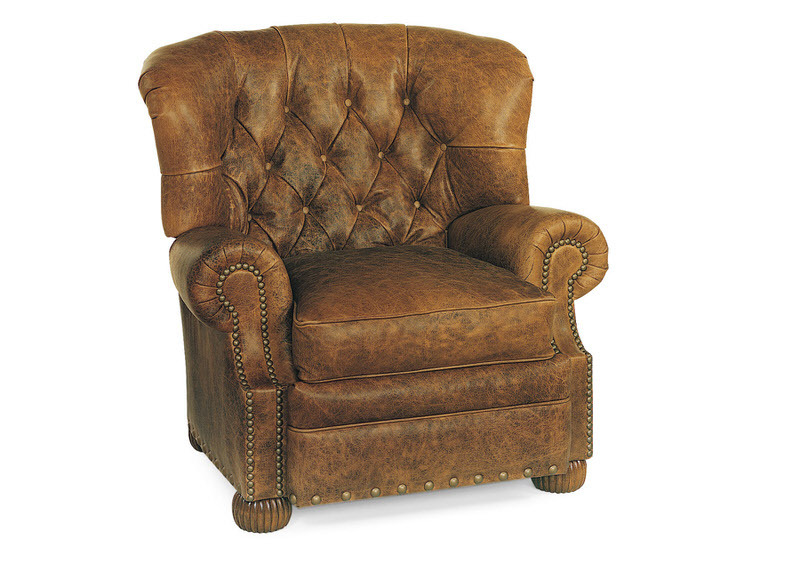 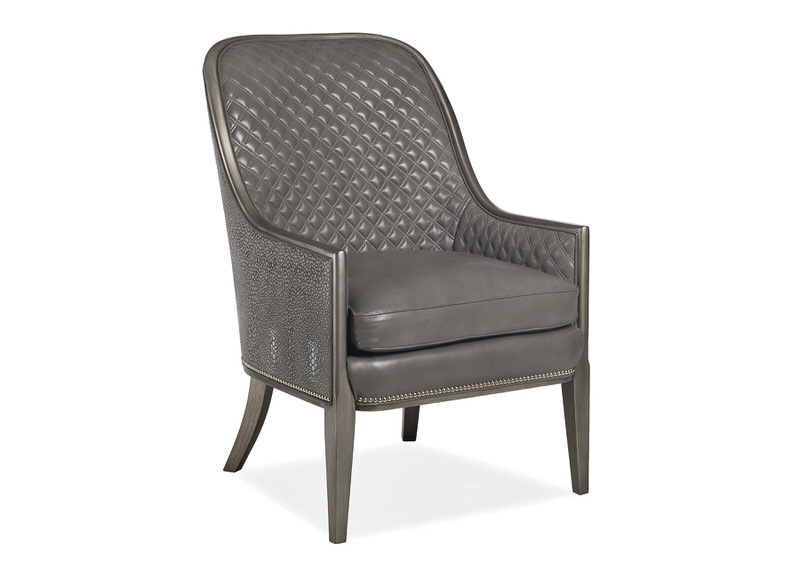 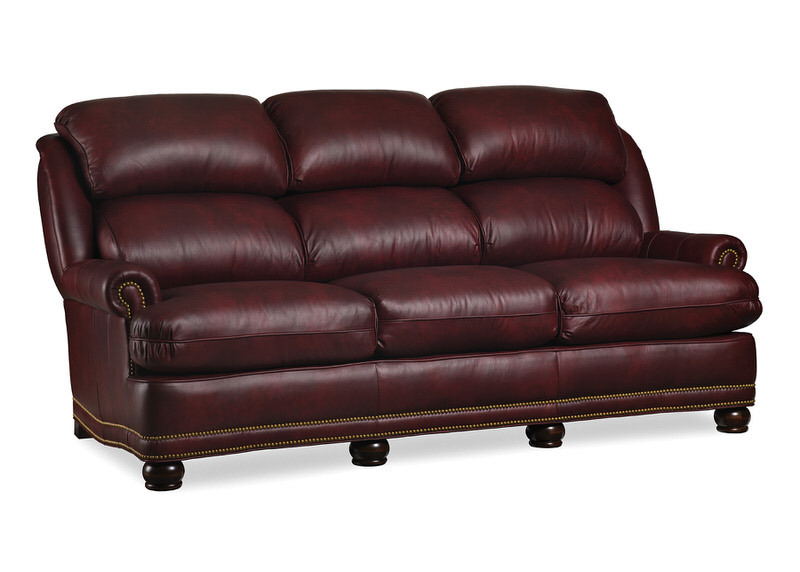 This transitional arm chair is inspired by classic traditional shapes. 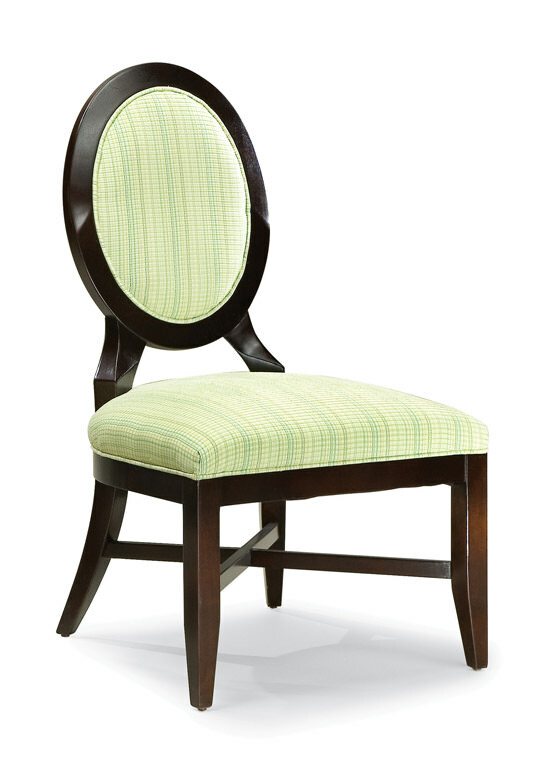 The back is oval shaped and bordered by exposed wood. 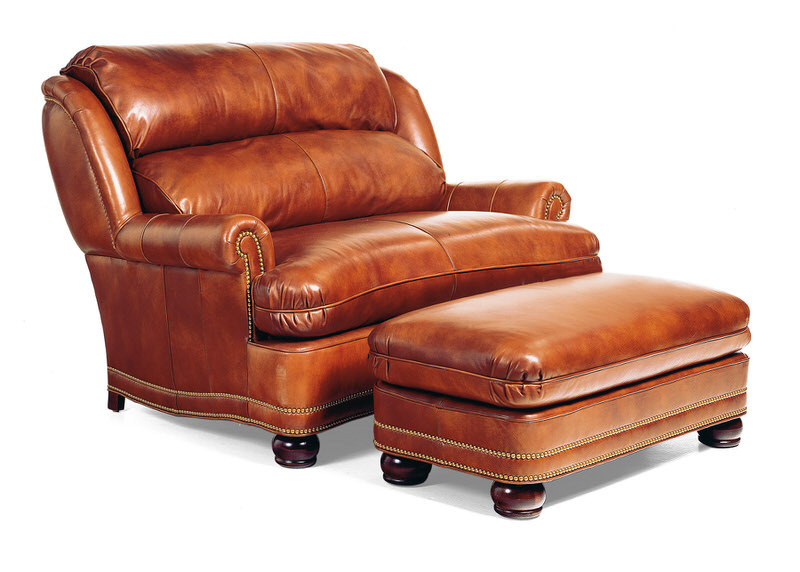 The rounded arms follow the contour of the seat and flow into the legs. 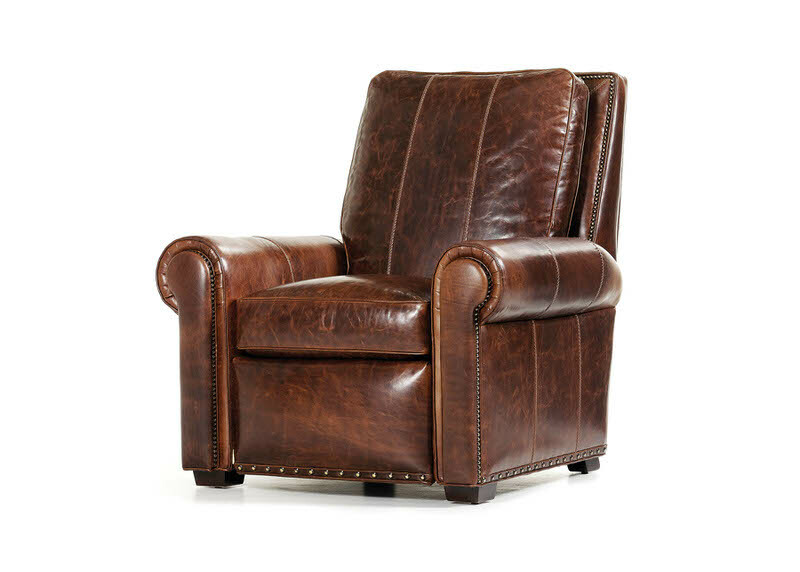 The outside back has X shaped wood detail repeated with the stretchers on the legs.